Pompeii Street View. 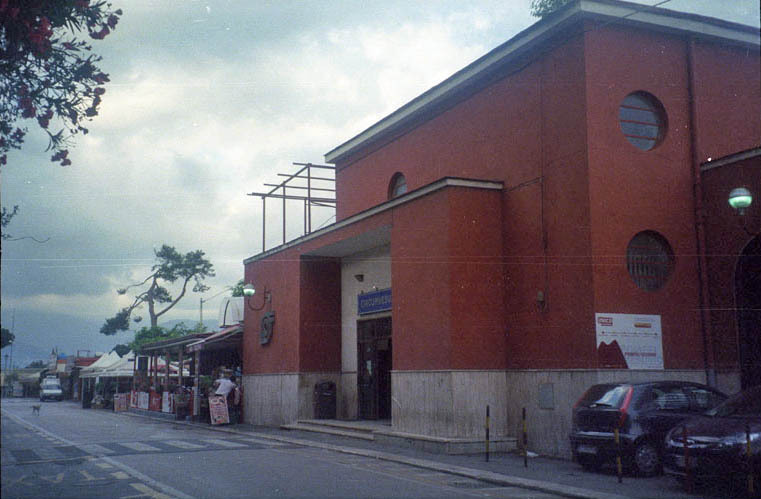 Via Villa dei Misteri, with Station and Porta Marina entrance to Scavi. 1950s aerial view. Looking east. 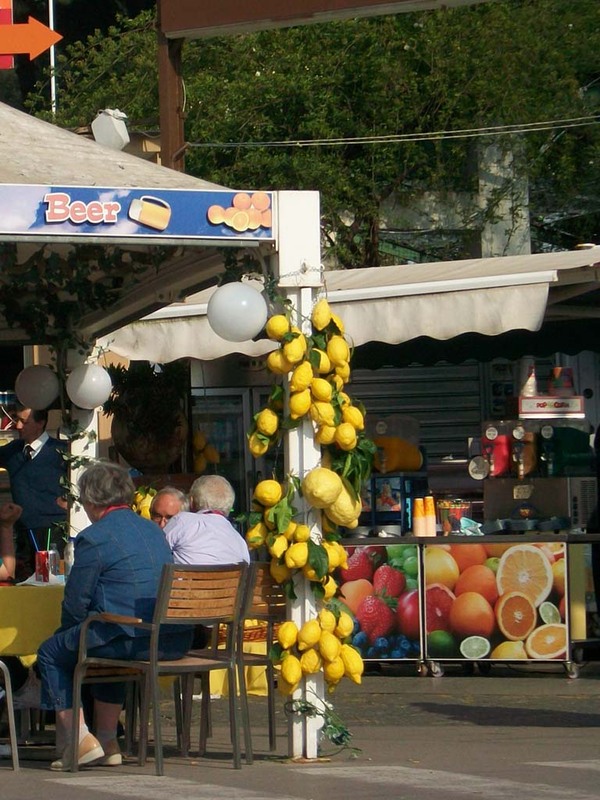 The station from Naples or Sorrento would be along the track near a small white building (above the letter Y of ITALY on the lower side of the photo). Slightly higher than the small white building would be an unexcavated area, including the area of the Suburban Baths. 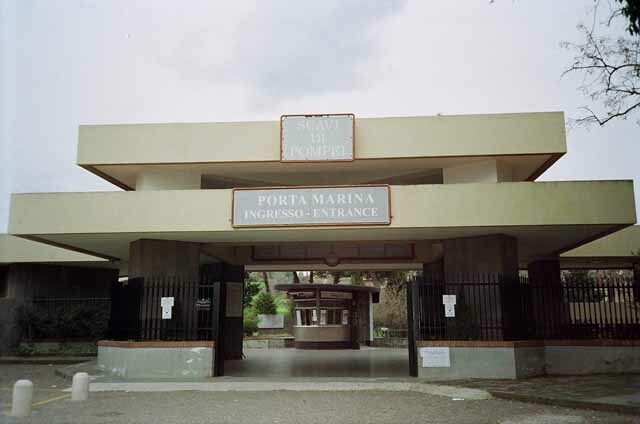 The larger building would be the Imperial Villa/Antiquarium, on the south side of the Porta Marina. 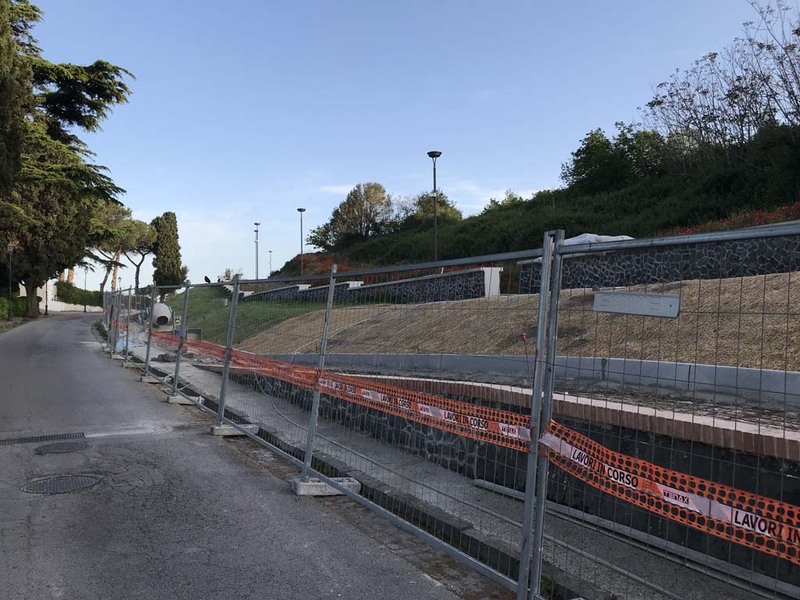 From the station, the curving Via Villa dei Misteri can be seen, heading towards the left of the photo. 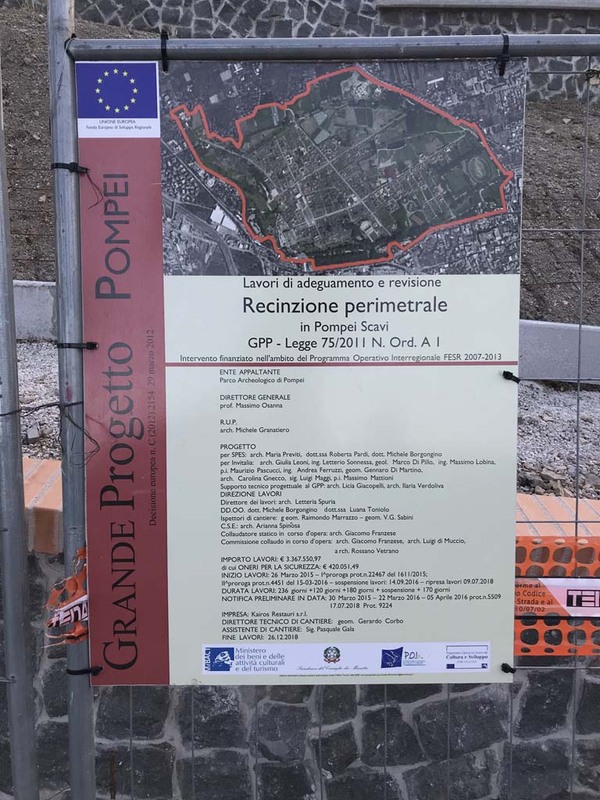 Via Villa dei Misteri, Pompeii. 1964. Looking east from the roadway towards Villa of Mysteries. Photo by Stanley A. Jashemski. Via Villa dei Misteri. 1957. 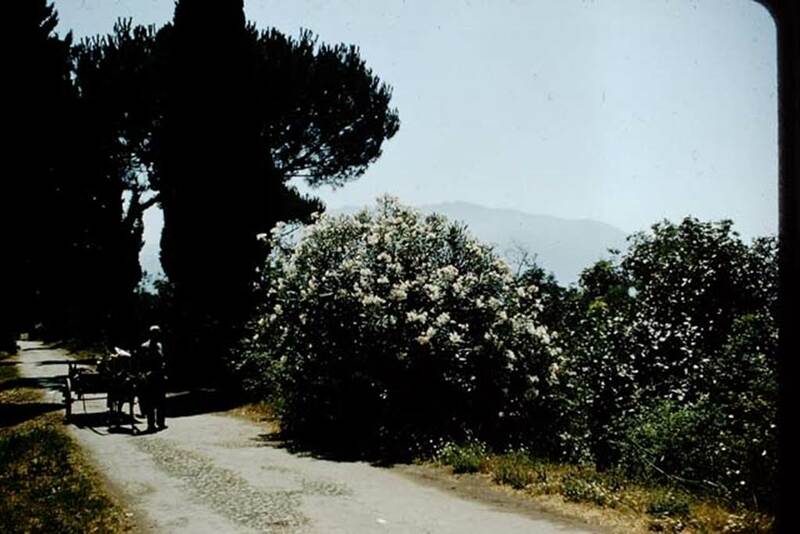 Looking south from near the Villa of Mysteries towards the Villa of Diomedes. In the shadow of the trees is a donkey and cart. Photo by Stanley A. Jashemski. Via Villa dei Misteri. 1957. 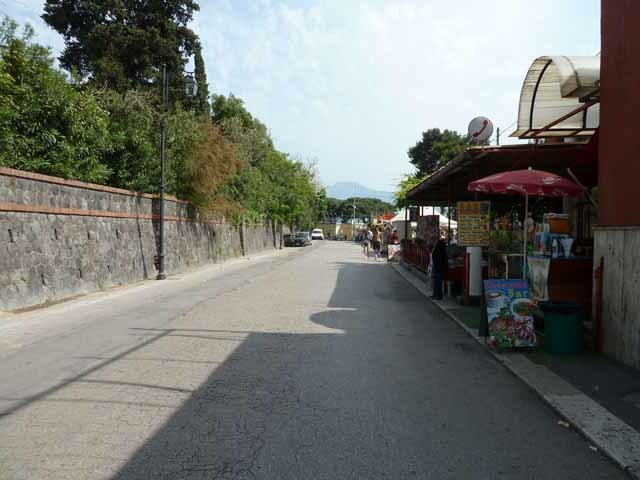 Looking south along roadway from near the Villa of Diomedes. Photo by Stanley A. Jashemski. Via Villa dei Misteri. May 2010. 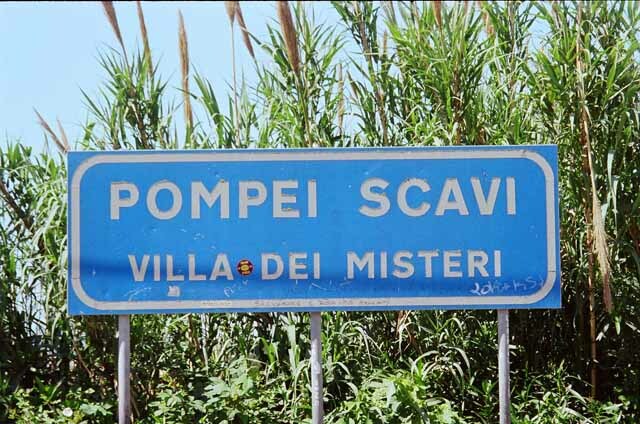 Pompei Scavi, Villa dei Misteri station. Photo courtesy of Rick Bauer. Via Villa dei Misteri. 1966. Looking east across roadway, from station. Photo by Stanley A. Jashemski. Via Villa dei Misteri. May 2010. 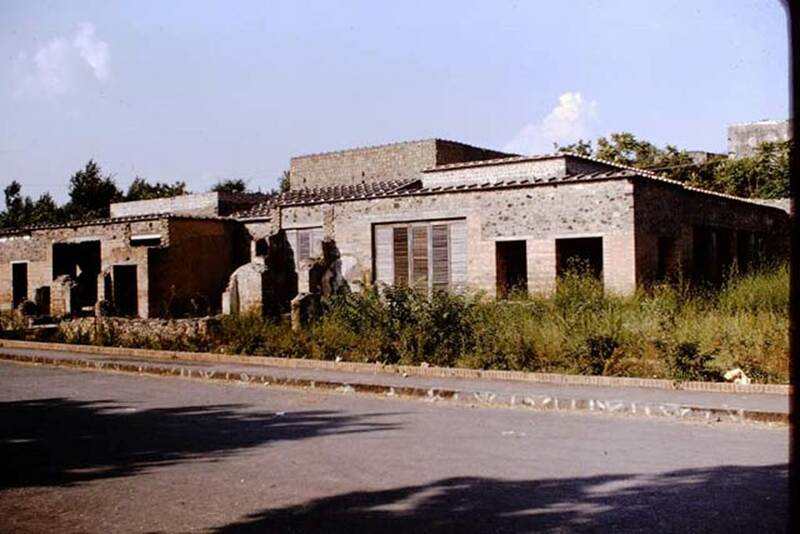 Pompeii Scavi, Villa dei Misteri station. 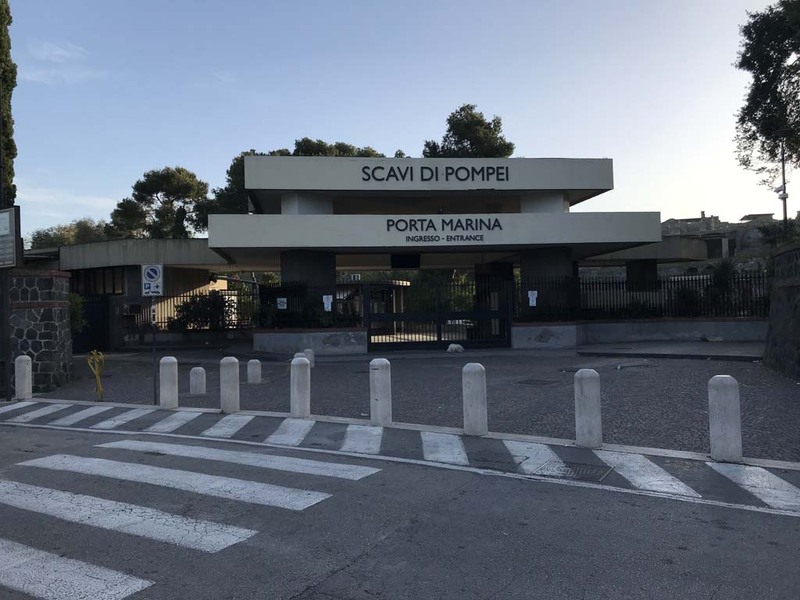 This is the station for the Pompeii entrance at the Porta Marina. 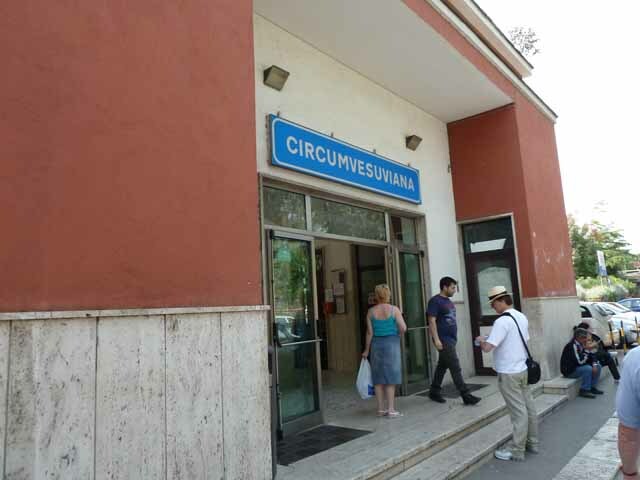 The station is on the Circumvesuviana line running from Naples to Sorrento. Photo courtesy of Rick Bauer. Via Villa dei Misteri. May 2010. 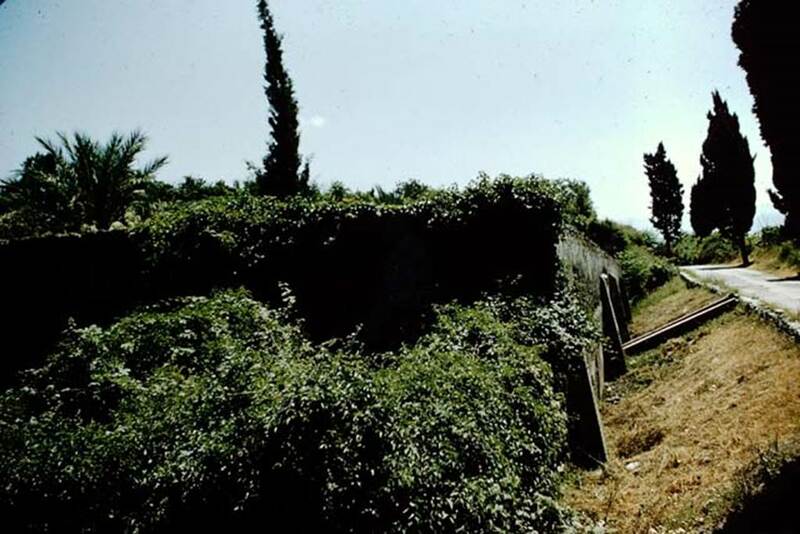 Pompeii Scavi, Villa dei Misteri station. Entrance. 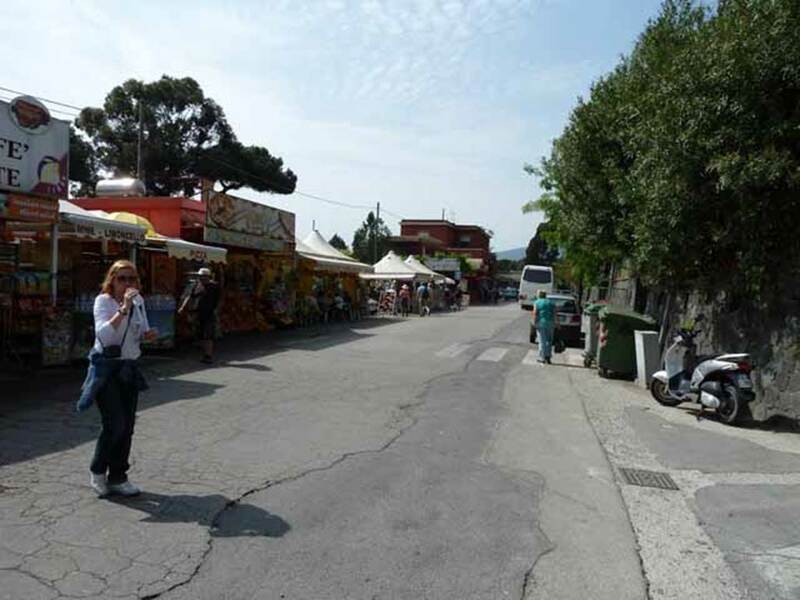 Turn right on coming out of the station and walk a short distance down to the Porta Marina entrance to Pompeii. 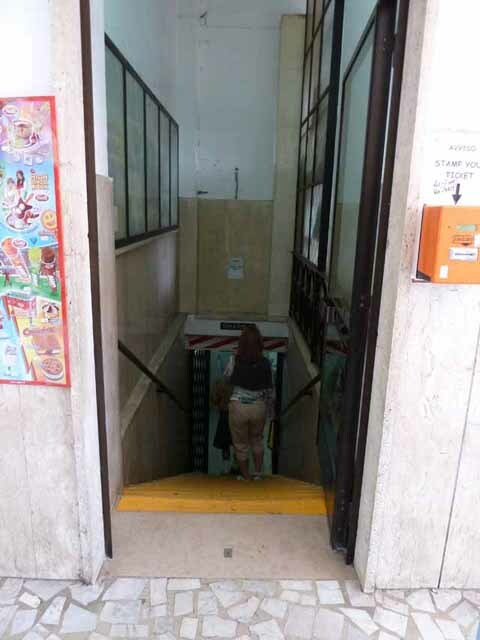 Steps down from entrance hall to underpass leading to Platform 2, for departures to Herculaneum and Naples or arrival from the Sorrento direction. Do not cross the train tracks!! All tickets must be stamped in the little orange machines on the walls before every journey. Via Villa dei Misteri. May 2010. 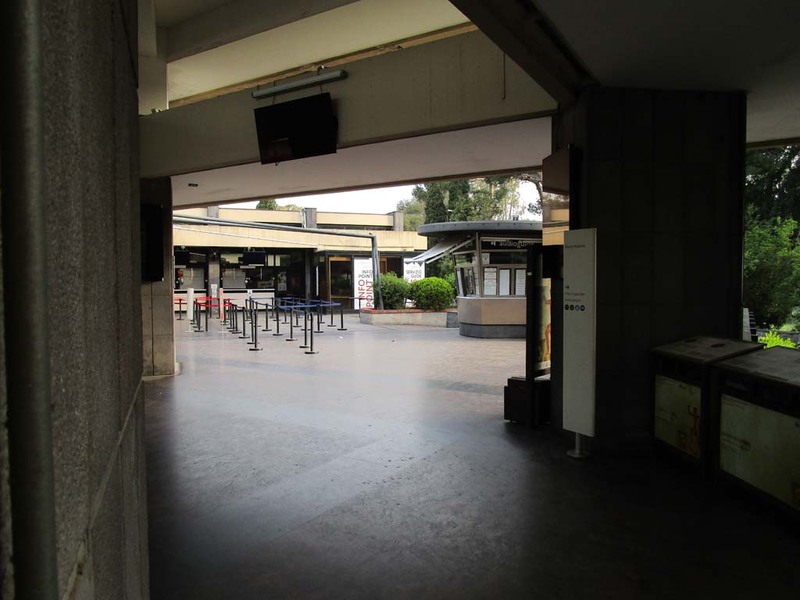 Pompei station entrance hall. 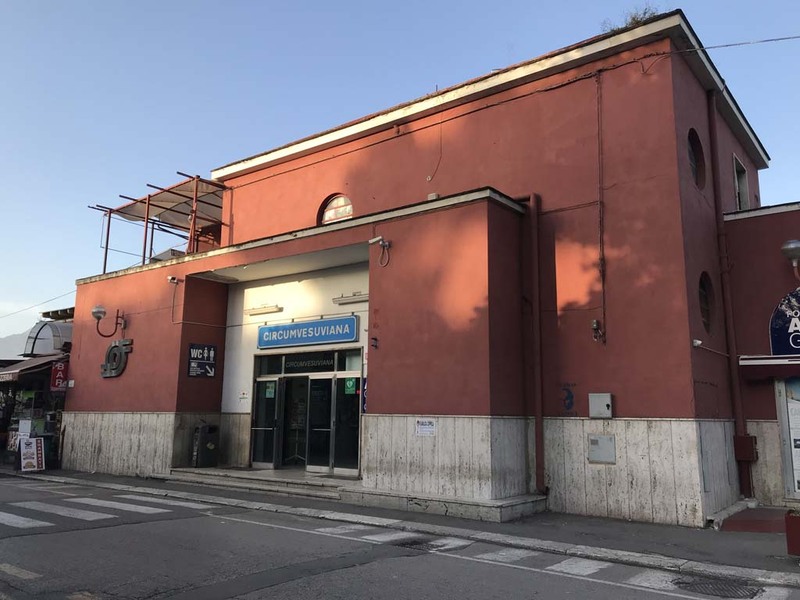 Platform 1, for departures towards Sorrento or arrivals from Naples go through the doorway at the far side of the entrance hall. Pompeii station, May 2010. 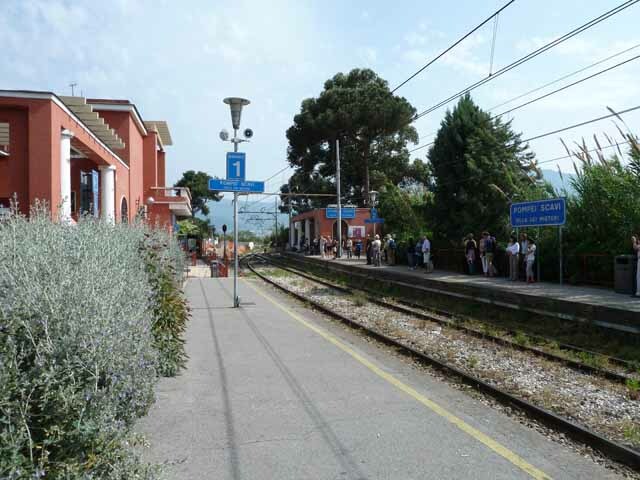 Looking south from platform 1, towards Castellammare and Sorrento. The platform is entered from the far side of the entrance hall of the station. Pompeii station, May 2010. Looking north from platform 1, the trains from Herculaneum and Naples. 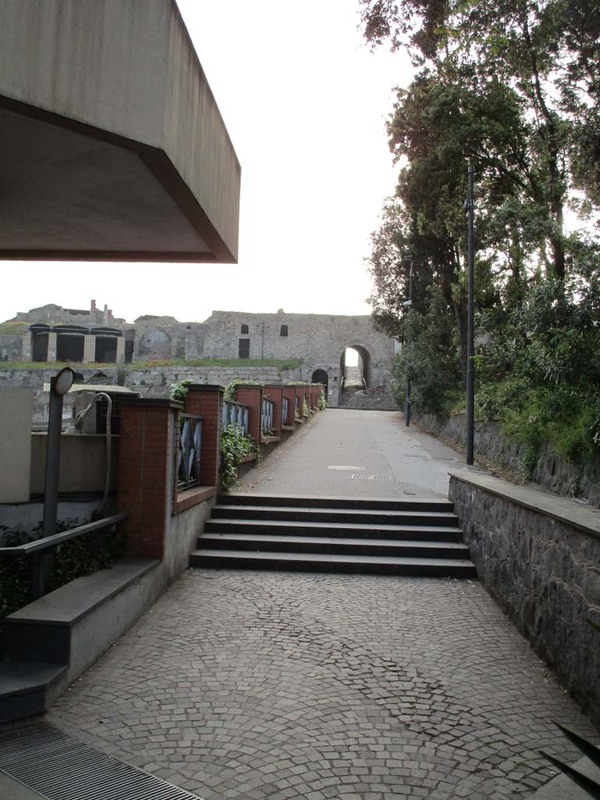 Via Villa dei Misteri. July 2011. Looking south past the Circumvesuviana station. 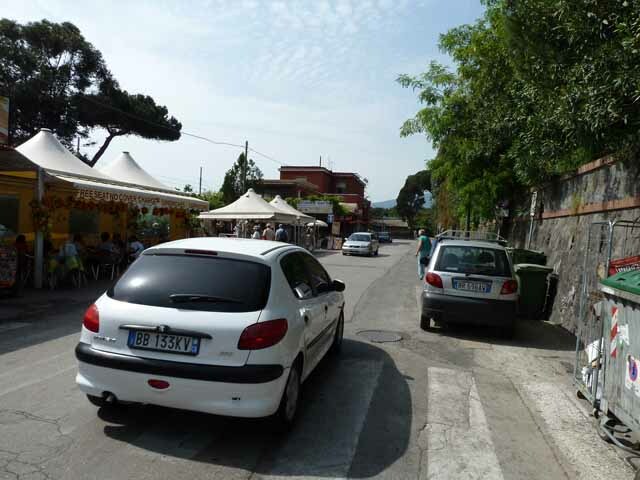 The entrance to Pompeii Scavi is on the left opposite the parked white van in the distance. Via Villa dei Misteri. May 2010. Looking south towards the Porta Marina entrance to Pompeii. 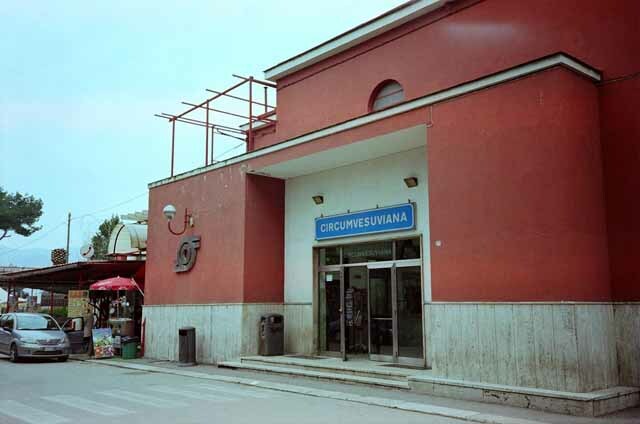 The Circumvesuviana station is to be found on the right of the picture. Via Villa dei Misteri. May 2010. Looking north towards the Circumvesuviana station. Via Villa dei Misteri. May 2010. 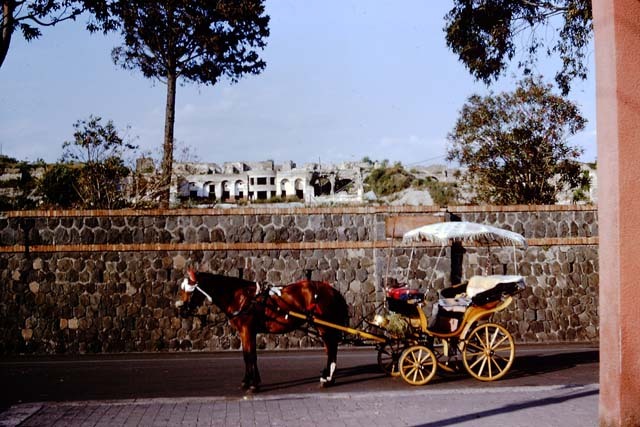 Looking north from outside the Porta Marina entrance to Pompeii. The station is the red building at the end on the left. 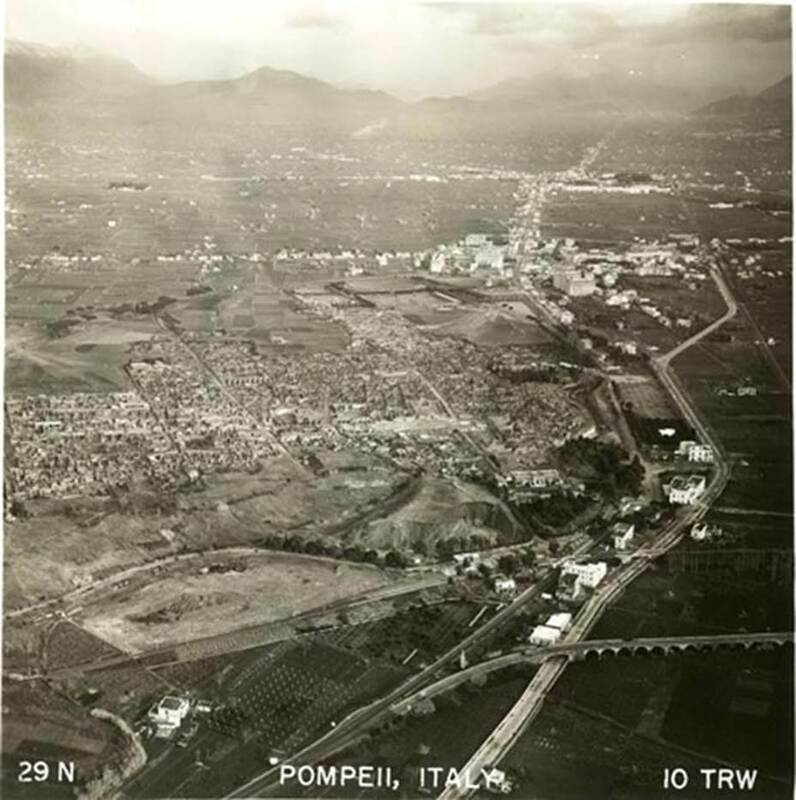 Pompeii, 1954. If coming by road, follow the road-signs. Photo courtesy of Rick Bauer. Via Villa dei Misteri. May 2010. 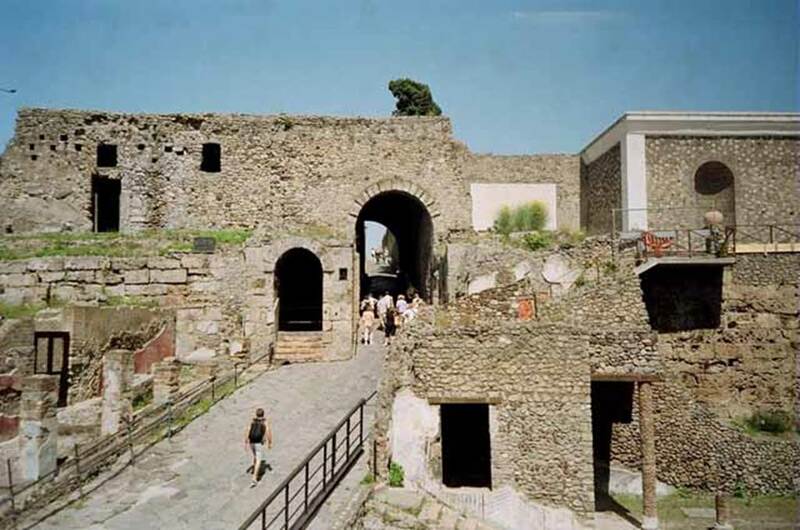 Entrance to the Scavi di Pompei at Porta Marina. Looking east. 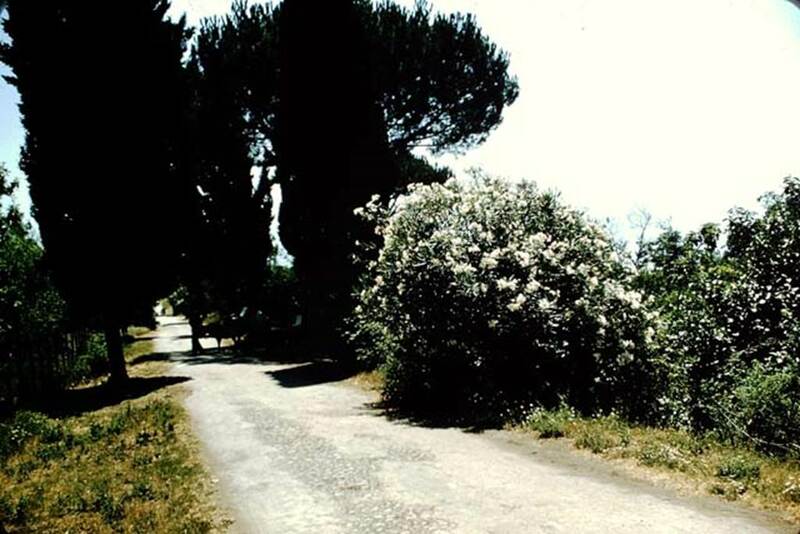 Via Villa dei Misteri. May 2010. Porta Marina entrance to the Scavi di Pompei. The information booth can be seen through the entrance. The ticket office booths are round to the left. 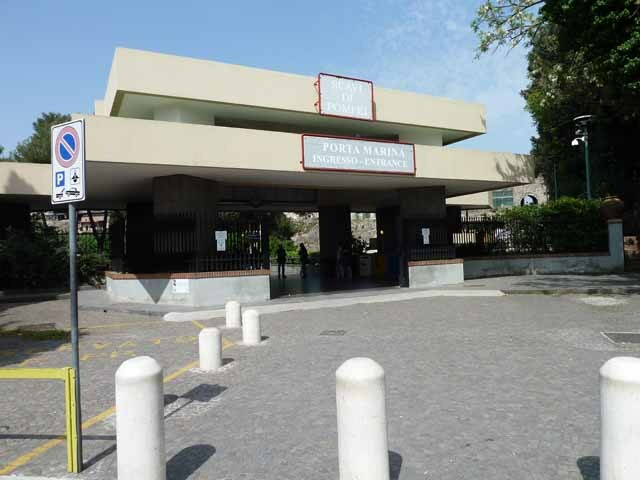 Ticket booths are on the left and the bookshop is on the right. Photo courtesy of Rick Bauer. Pompeii, May 2010. A very busy day at the entrance ticket barriers. Photo courtesy of Rick Bauer. Photo taken from inside the excavations looking out north across the entrance buildings. The bookshop is far right with the red banner. 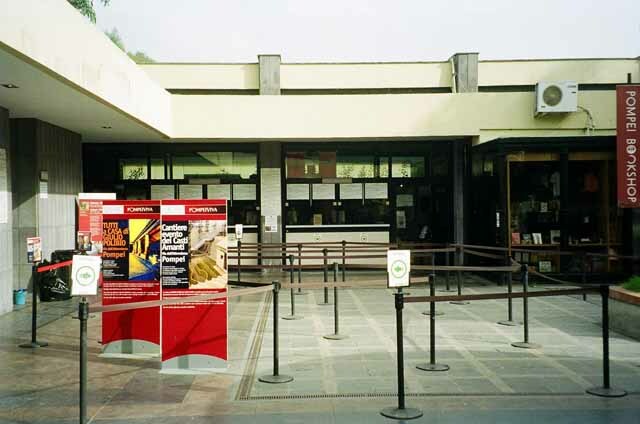 To its left are the ticket booths with a row of notices. 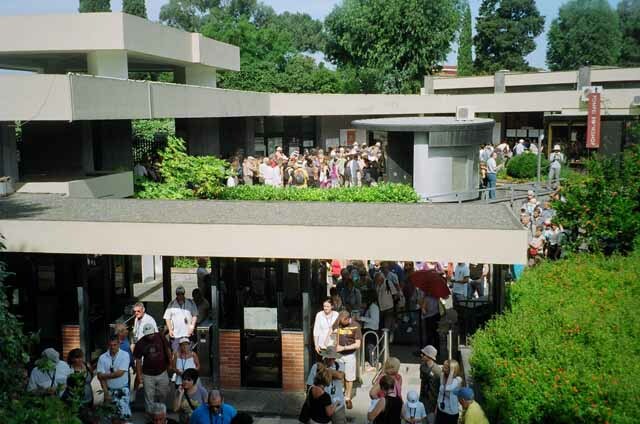 The round unit in the centre is the information booth. The toilets are on the far left. The ticket turnstiles are in the lower front of the photo. Char-a-banc ticket c.1900 found inside an old Pompeii guide book. The original owners had jotted down notes in the margin of the book outlining what they had seen during their trip to Pompeii. They had also pressed three leaves inside the book. Photo courtesy of Rick Bauer. Pompeii Porta Marina entrance ticket dated 20th May 1917. Entry fee was 2.50 Lire. Pompeii Porta Marina entrance ticket dated 5th July 1920. Entry fee was 2.50 Lire. Pompeii entrance ticket dated 5 Aug 1924 on the rear. Entry fee was 6 Lire, a significant increase from the 2.50 Lire of the 1920 ticket. Pompeii Porta Marina entrance ticket dated 13 Apr 193(? ), the last digit is unclear. Entry fee was 75 Lire. Photo courtesy of Rick Bauer. Pompeii supplementary ticket dated 1944. Entry fee was 5 Lire. Photo courtesy of Rick Bauer. Autostrada Napoli - Pompei return ticket for a motorcycle dated July 1952. The cost was 50 Lire, of which 4.6 Lire was IGE. 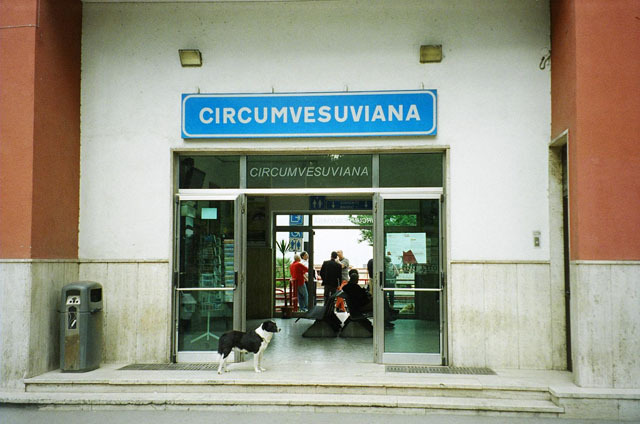 The “Imposta Generale sulle Entrate” or “general tax on revenue” was introduced in 1940 and superseded by VAT in 1973. Pompeii Entrance ticket dated 10th October 1973. Entry fee was 150 Lire. Pompeii Entrance ticket dated 24th August 1997. Entry fee was 12.000 Lire. Pompeii Entrance ticket 3rd September 2004. Entry fee was 10 Euro. Pompeii Entrance ticket dated 4th June 2013. Entry fee was 11 Euro. Pompeii, May 2010. 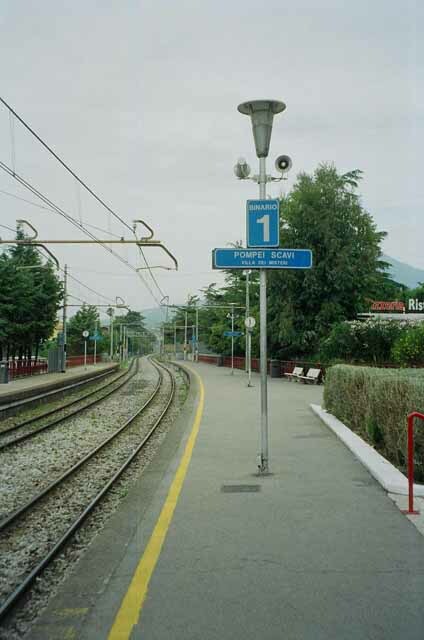 Looking east from the ticket barriers towards the climb up to the Porta Marina. Pompeii, June 2009. 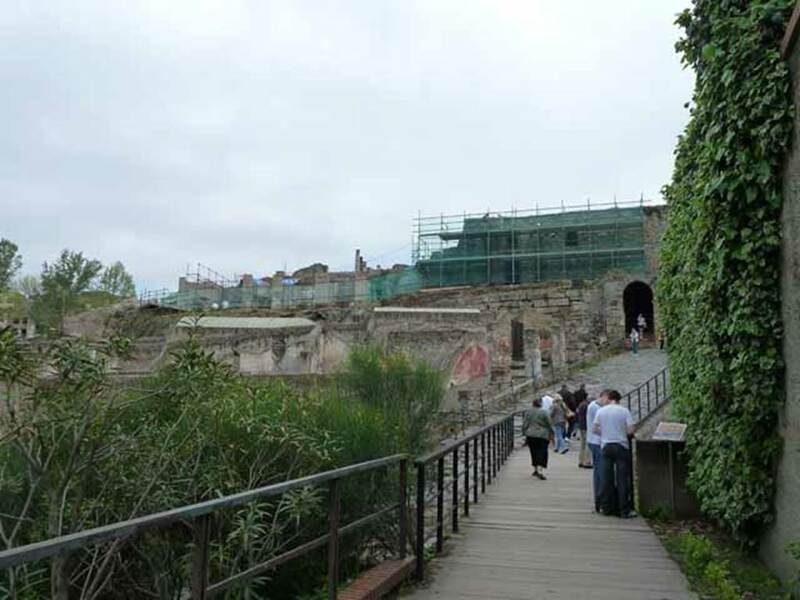 The climb up to and through the Porta Marina and into the excavations. Photo courtesy of Rick Bauer.